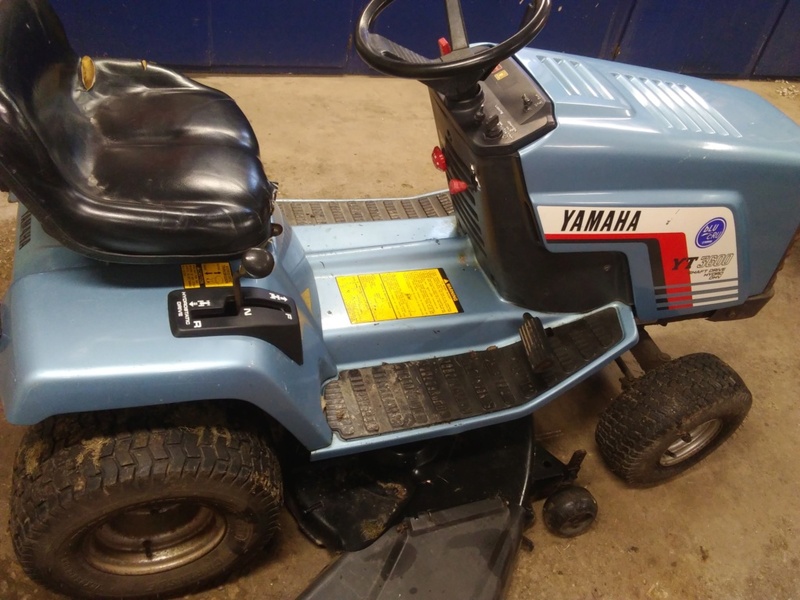 I'm going to buy a Yamaha yt 3600 tomorrow not for modifying but just because i never new that they made a lawnmower. and i like unusual and different mowers. from what i have seen they were only produced from 1988 to 1990 anybody here know anything about these ? Oooo, those are cool! I've seen a couple in person and always thought they looked pretty neat. I believe they are all shaft drive too. Be sure to take lots of pictures when you get it! yes it is shaft drive and the pic i've seen looks pretty clean too. cant wait to get my hands on it. it runs great ! nice and smooth. 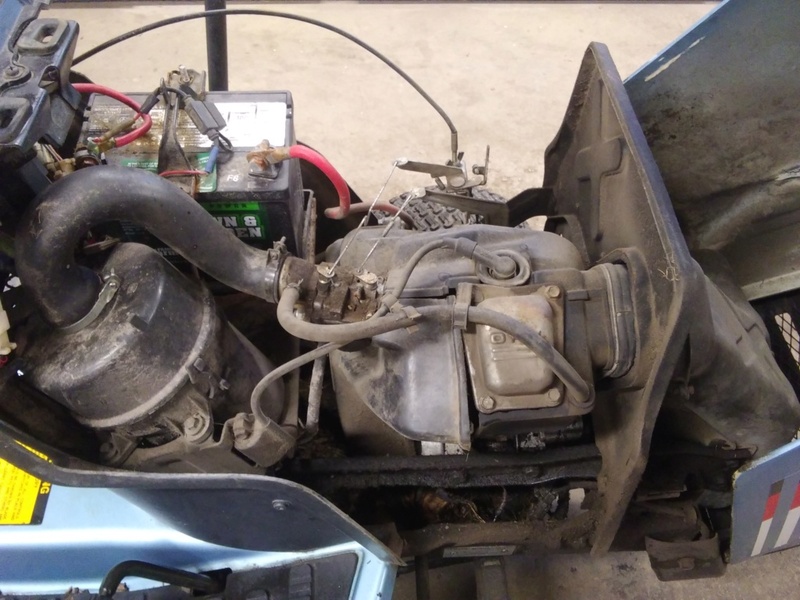 it does have a oil leak i'll need to address. 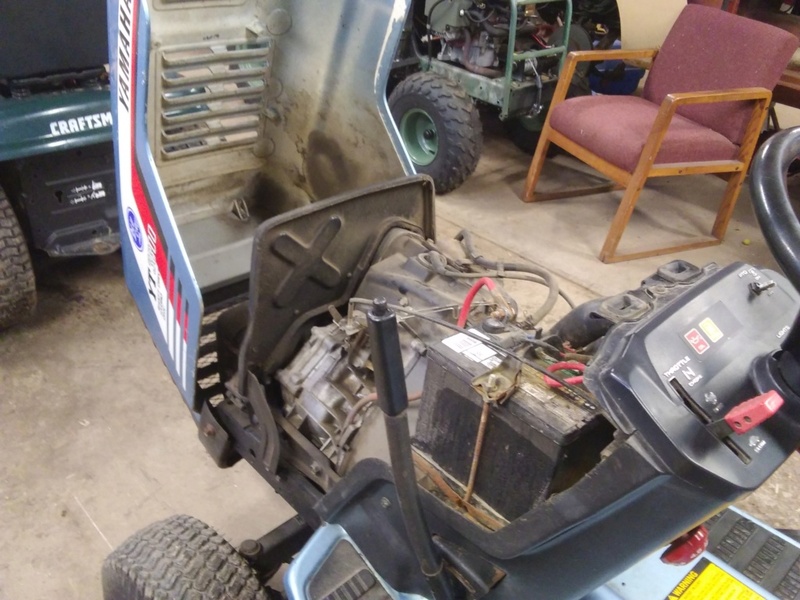 but pretty neat little mower. Sweet! Looks like it's in great shape! 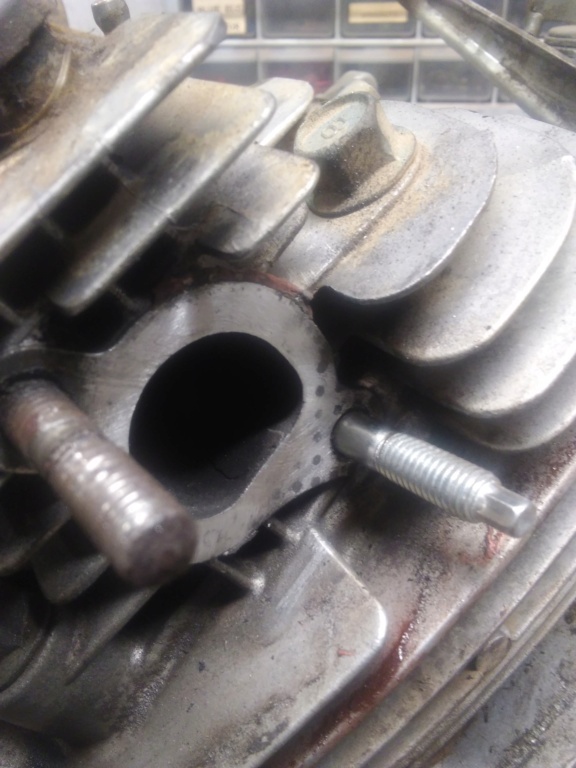 I believe the engine is a Yamaha made horizontal shaft isn't it? I'd love to see some pictures of the engine and drivetrain. 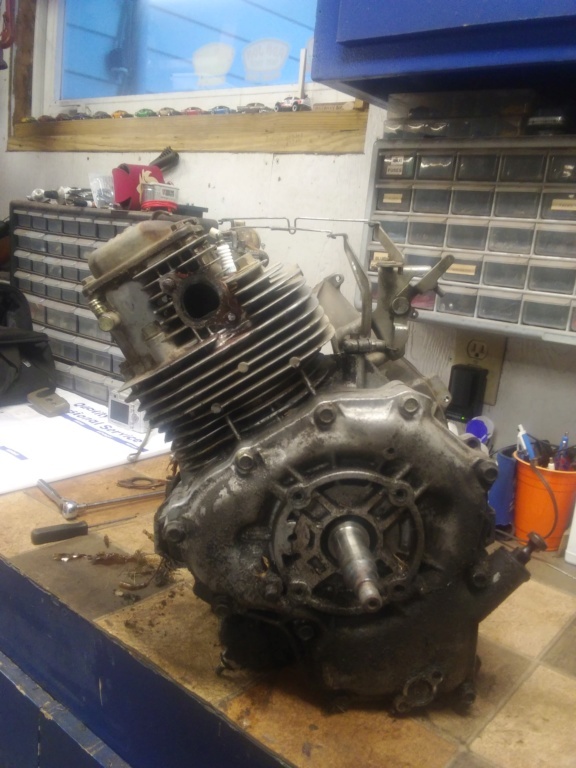 i will be pulling the engine off soon to repair an oil leak that appears to be coming from the side case ill get some more pics as i go through this. Pretty neat looking! The engine cylinder seems to have a real slant to it, almost like the Honde GX and clone engines. Wonder if they have a big enough air box on that thing? 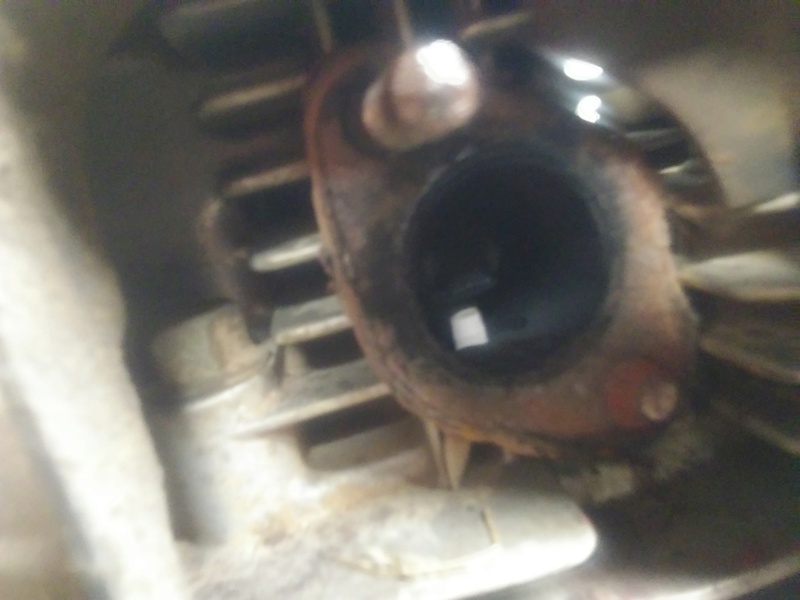 unfortunatly one of the exhaust bolts broke off. 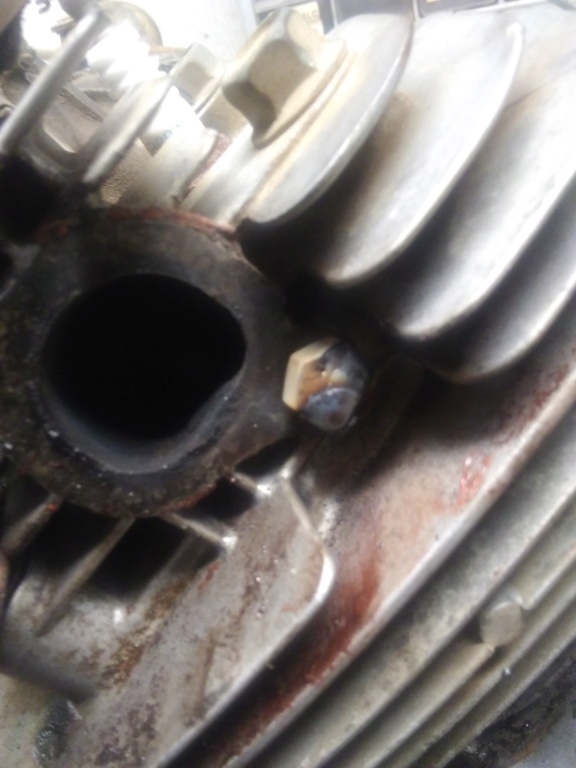 but was able to weld a nut to it and get it removed. There is one of these in the earlier on the local craigslist. Looked just like it. Looks like a fun project. they also make a yt 6800 twin cylinder. i'd like to get my hands on one of those as well. 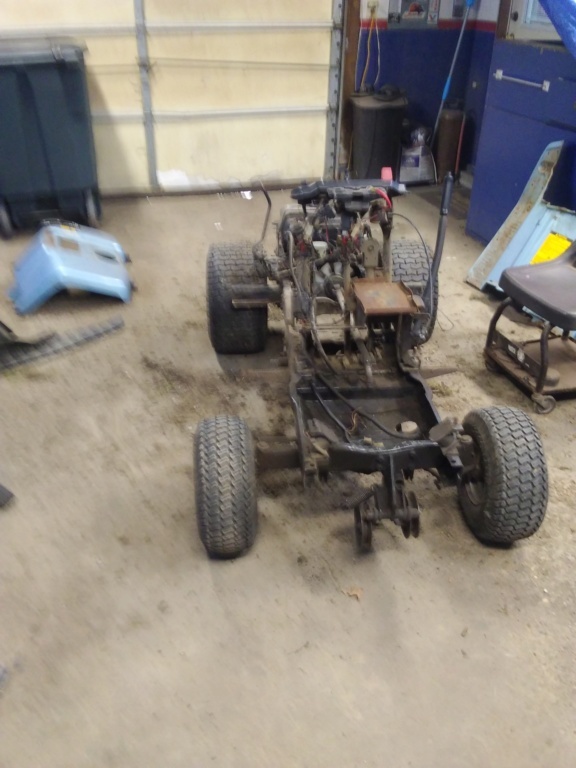 would be a good one to build a trail mower out of if it wasn't in such nice shape the frame is really heavy duty but that wasn't the plan ! just restore. I am however wanting some opinions on repainting it. I Know it looks really sweet in the pics but it does have some rust spots scratches and the decals have some cracks. so i was thinking about doing a custom paint job ! what do you think YA or Nah ! I'd go with a black frame and a darker yamaha blue. The same blue color as yamaha quad plastics. Thats what i was thinking. I was surfing some images of these tractors and seen one in darker blue, don't know if it was a repaint or not but the only one i seen like that and looked a lot better than what it is. thanks for the in put. Looks like a nice, well built frame there! 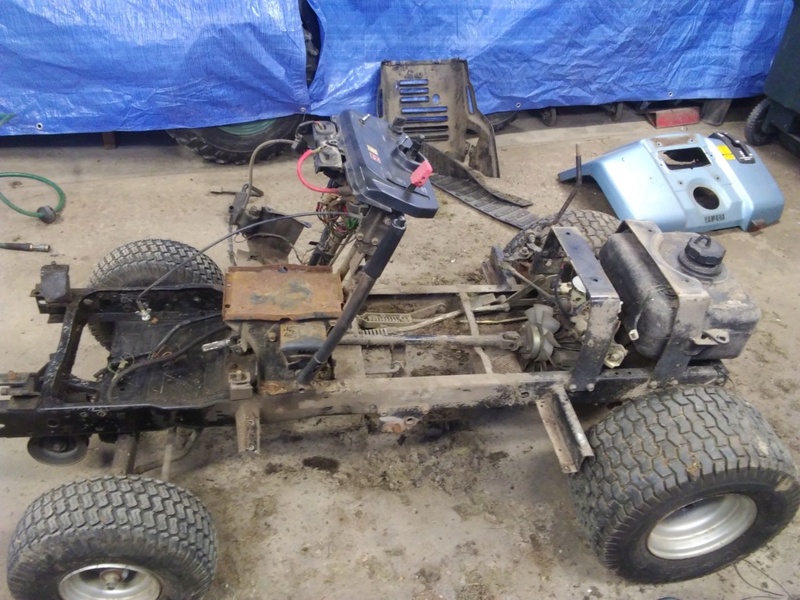 What's the steering like on this unit? 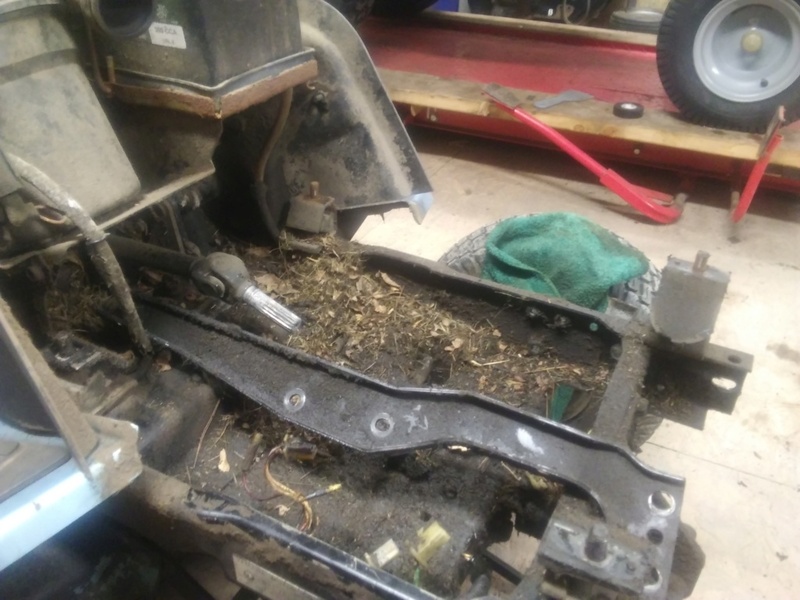 Is it a lawn tractor style pinion and sector gear, or an actual small steering box of some sort? That's pretty cool! I've never seen a drive-shaft hydro before. Personally, I like the light blue (it is different) and I would leave the paint and decals untouched while just taking care of the mechanical stuff. I am partial to the natural distressed look. The frame could get a fresh coat of black. We have all seen Antiques Road Show, once you refinish something it loses all its value! 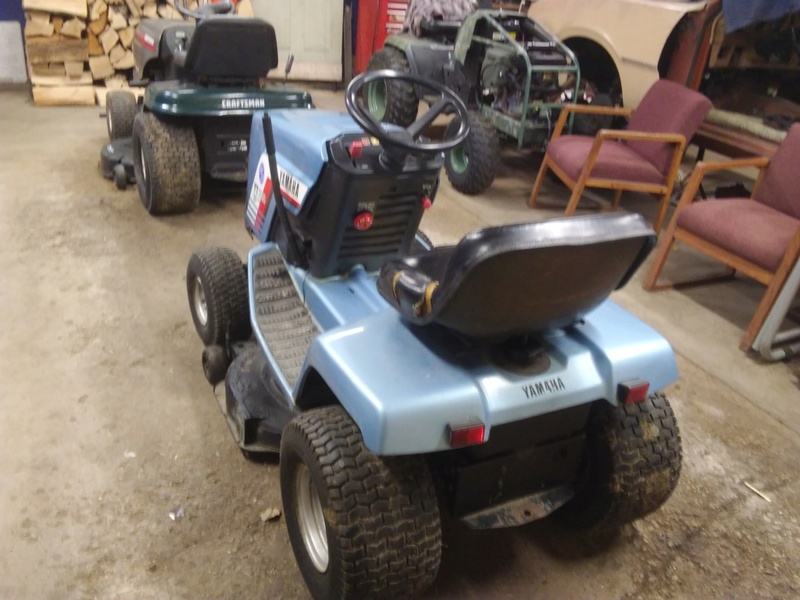 I was thinking the same as everyone else about it looking like my Honda HT3813, but I guess these are both Japanese tractors, so it makes sense that they would be similar. 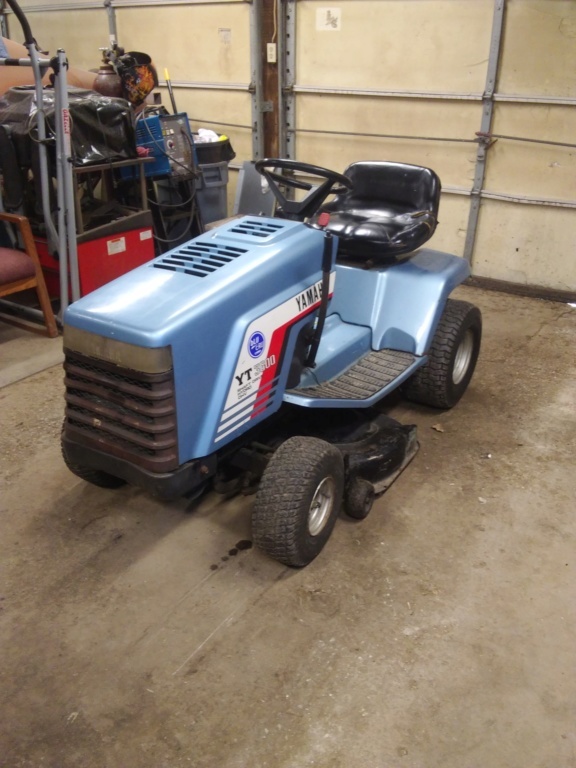 Are there any other Japanese lawn tractors that you know of? Kabota makes some pretty hefty LTs, they call some of them GTs but when compared to the old stuff they're not hefty at all. They have some LTs that come with diesel engines from the factory, pretty neat. But they're all pretty weak hydros and have thin frames and what not. Shaft driven hydro's are quite common with older GT's. John Deere, Cub Cadet, Bolens, Ford, etc. They all had 'em at one point.